After missing out on England's World Cup squad last summer and a 2017/18 season in and out of the Manchester United first team, the left-back now finds himself back in Gareth Southgate's plans and the most secure of Jose Mourinho's defensive options. Shaw has enjoyed what is reportedly a mixed relationship in the past with Mourinho, who has been publicly critical of the former Southampton full-back, but he has started this season like a man who knew it could well have been his final opportunity to stake his claim at Old Trafford, and a Premier League goal (his first for the club) and assist saw him named United's player of the month for August. That form also saw him garner the attention of Southgate, who was suitably impressed to recall him to an England set up which is in an increasingly buoyant mood after the summer's escapades. 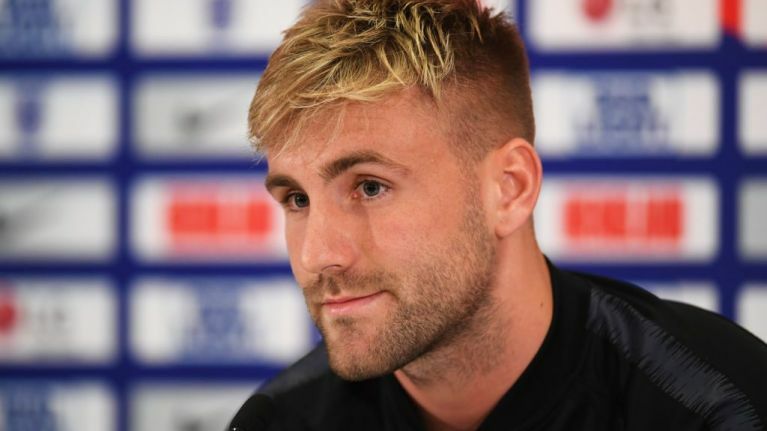 Speaking to media this week ahead of England's first UEFA Nations League matches with Spain and Switzerland, Shaw opened up about one of the toughest times in his career - the double leg fracture he suffered during a Champions League tie in September 2015 - and how he was lucky that the injury didn't cost him his leg. "I'd be lying if I said I didn't think about stopping playing. I had a lot of complications with my leg and that was the really hard moment for me in my career," Shaw said. "No one knows but I was really close to actually losing my leg. I never knew that until six months later when the doctor told me. "I've got - I don't want to talk about it too much - two scars down the side of my leg where they had to cut it open and pull them out because of how severe it was. But I don't really care about that any more. I feel really strong and my right leg is exactly as it was before my leg break." That injury, suffered after a poor tackle from former PSV Eindhoven defender, is rightly attributed as one of the main causes of Shaw's struggles at Old Trafford in recent seasons, though his England call-up and return to form this season suggests that it is well and truly behind him.